As advances in cannabis technology increase, the products we have access too also increase and improve. The last few years have marked tremendous growth in the technology utilized by the Cannabis industry. We anticipate 2019 will be no different. RayWear is proud to have been included on the list of the Top 20 Cannabis Products, curated by Cannabis & Tech Today magazine. In the coming years, the Cannabis industry will continue to make its way into the mainstream market. This will open up opportunities for more innovations and more innovators to create life-changing products that will benefit and improve the industry—whether it be for the growers, the consumers, or the business owners. Products like vaporizers, tinctures, edibles and wearable blends have proven that patients and recreational consumers can enjoy the benefits of cannabis throughout their daily lives in a variety of ways. Like these products, RayWear Clothing Company is bringing innovation to the industry in a way too often ignored. RayWear products give growers the opportunity to protect themselves. Both natural and artificial light sources can cause permanent damage by exposing workers to hazardous levels of light radiation. There are several companies that offer UV protective clothing, however RayWear is the only company that protects from all types of harmful rays—not just UV. Designed specifically for the modern cultivation environment, RayWear’s patent pending fabric protects against UV, Visible and Infrared radiation. It does all of this while being unbelievably soft, comfortable, and breathable. While RayWear was originally developed for growers and the cultivation industry, its application in other markets is ever expanding. Hikers, joggers, mountain guides, beach goers and other outdoor enthusiasts have begun to discover RayWear’s unmatched comfort and protection. The belief that because your skin is covered, you are protected simply isn’t true. RayWear offers the most complete protection on the market. And RayWear’s protection is desperately needed by this generation with melanoma being one of the most common cancers among young adults. RayWear is proud to have earned a spot among the Top 20 Cannabis Products of 2019 as named by CannaTech Today magazine. RayWear has worked tirelessly to educate the industry while providing effective and affordable solutions. Along with RayWear, other products listed among the top 20 Cannabis Products of 2019 by CannaTech are the Spinner XP Spinner Grow. The Spinner XP allows growers to streamline the growing process in a highly controlled environment that allows for consistency in grows for up to twelve plants at a time. The Gen2 LowTemp Press, the Nova Decarboxylator, the STM Rosin Press 4.0, the Levo 2, the Magic Flight Launch Box, and other cannabis accessories like the Smokus Focus Stash Jar and the hottest vape technology on the market right now. One of the products, the Paracanna Zen Zingers, allows consumers to create their own gummy edible out of a kit. With more education, understanding and acceptance, the industry will never see a shortage of innovation. 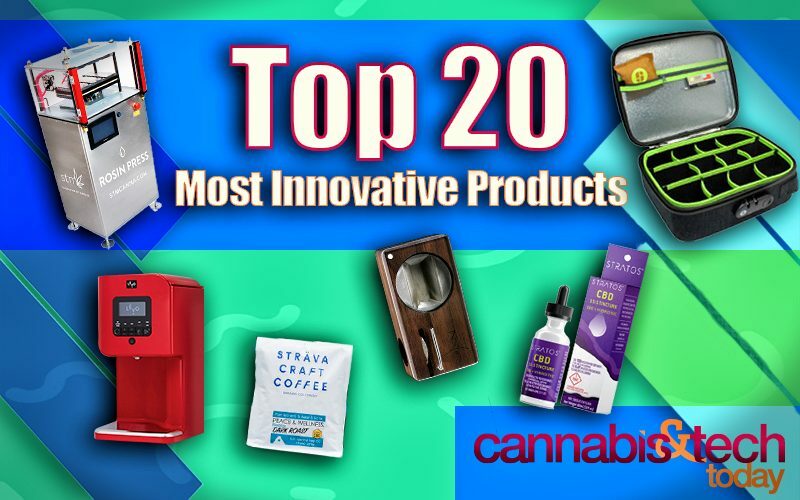 RayWear is honored to be named one of the Top 20 Cannabis Products for 2019, along with all the other amazing products.